Most of the people have got moles on their body. They are usually not malignant and tend to appear in different shapes and sizes. Moles or Nevus tend to appear right from a young age and for some it might come as an irritant body mark. There are moles which can be carcinogenic. An appearance of a mole can be the first symptom of skin cancer. In here we discuss the various types of moles and its causes. 3 Are Moles skin cancer? 5 Can Moles just appear in your body? 6 Why is my mole getting bigger? 7 What does a cancerous mole look like? Moles are the dark spots on the skin which appear in black or brown color. They can appear anywhere in your body and can be single or many in numbers. Moles are made up of melanocytes. They are present everywhere in the skin and tend to become darker by a skin pigment called melanin. Some moles appear even at birth. Moles are subject to get darker owing to sun exposure and age. When mole changes into cancer, then it is called melanoma. It usually affects women, but it does not mean men are safe from it. These are some main types of moles that occur on the human skin. Common moles appear almost on every individual. They come up in either dark brown or black and are about 5 to 6 mm in diameter. They are usually formed owing to sun exposure or linked genetically. You can see a dark spot appearing on your skin when the mole starts to appear. In rare conditions, the common mole can transform into skin cancer. These moles have blurry borders. 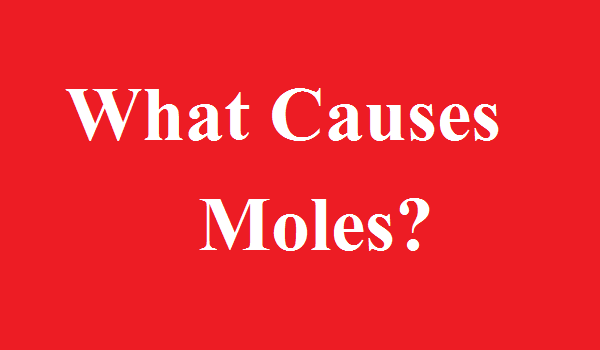 Although they are noncancerous, they can get confused with cancer moles. Atypical or dysplastic nevi are larger than common moles and appear anywhere in the body. These moles should not be taken lightly. Any change in color, size, and texture, and itchiness must not be taken lightly. Congenital moles are present at birth. They are sometimes referred as birthmarks. These moles need to be monitored carefully as they can tend to become cancer moles. They are caused by the presence of melanocytes epidermis or dermis. These moles appear similar to the skin color and cannot be readily distinguished. They are located in the middle layer of the skin. Intradermal moles are very common, and development takes place in late childhood. The Junctional Melanocytic mole is a very common nevus and comes in childhood or adulthood. They are a bit raised from your skin and possess dark pigmentation. The moles will get deeper into the skin with time and age. These moles are raised and possess normal pigmentation. It contains both the characteristics of intradermal and junctional moles. The two main layers of the skin (dermis and epidermis) gets hit by the compound nevus. The primary cause of freckles is due to sun’s rays. Freckles or ephelides appear in many numbers. If more exposed to the sun, then these moles will not disappear and will become darker. They are very harmless and wearing a broad spectrum sunscreen will be the best treatment. People with freckles in their face cover it with makeup. Lentigines come up in the sun damaged skin. They are sometimes called liver spots, age spots or sun spots. They do not fade even if extreme sun protection measure is adopted. It usually affects people over 40 and has no relation with the liver as opposed to what one of its names suggests. Individuals with lentigines are at higher risk of developing a skin cancer. The common areas affected are face, hands, chest, and arms. Most of the Seborrheic Keratoses grow on chest, head, and back and even on sun exposed areas. A type of cells called keratinocytes is responsible for it and is not caused by melanocytes. They usually don’t lead to skin cancer and is at times mistaken for warts. The appearance of the mole is in dark brown or black color. Moles are treated by dermatologists through biopsy. If found cancerous then doctors will remove the mole. Although it appears at any age, it cannot be ignored. Any mole has the potential to transform into a melanoma. When melanocytes grow, a mole is formed. Moles are dormant but can turn into skin cancer. Relax, not all moles cause skin cancer. The moles which are carcinogenic will look different and usually affects people over the age of 25. Melanoma is a type of skin cancer which can spread to lungs, liver, brain or other parts of the body. If detected early then it can be cured. It begins as a small mole and develops in the later stage. Apart from the skin, it can even appear in the eyes, nails, palms, feet, and digestive tracts. Most men get melanoma in their chest, head or neck. In women, the most affected area is the back or legs. Often, people with fair skin are more prone to melanoma compared to dark skin. 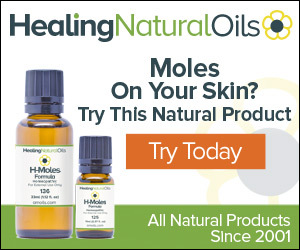 Can Moles just appear in your body? Moles appear at any age and place in the body. They can change color, size, and shape. Any change in the mole must be closely monitored and reported to the doctor without any delay. The best way to look out for a mole is to check your entire body frequently. You can do it yourself with a mirror faced in the front and as well as the back. Further, applying sunscreen thoroughly on all the exposed parts of the body can also eliminate the chances of melanocytes to form. Why is my mole getting bigger? Moles are subject to change themselves. They may become lighter in color or grow larger. Changes in moles are mostly due to skin cancer. If you notice anything suspicious with the mole with regards to its size or anything, then it should be immediately monitored. Check out for other signs and contact your doctor without any delay. In the beginning, a cancerous mole will look like an ordinary mole. But it can change its shape, color, and size as time progresses. These moles could either itch or have pain and could even bleed. Sometimes, half of the mole will have a different color compared to the other half. It will change in the course of time and will become lumpy or hard.